But anyone who has ever tried to make a big life change knows it can be a bit more complicated— and frightening—than that. How do you get up the nerve and confidence to actually take the leap? No one knows better than the women profiled in this powerful book by actress, activist, and bestselling author Marlo Thomas. It Ain’t Over . 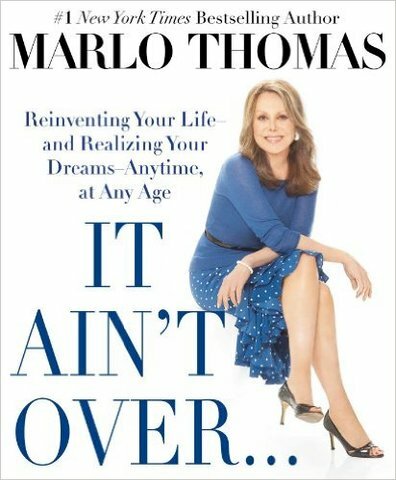 . . Till It’s Over introduces us to sixty amazing women who are proving that it’s never too late to live out a dream—to launch a business, travel the world, get a PhD, indulge a creative impulse, make a family recipe famous, escape danger, find love, or fill a void in life with a challenging new experience. Meet a graphic artist who fulfilled a childhood ambition by going to med school at age forty-two; a suburban mom whose innovative snack recipe for her daughter’s lunchbox turned into a multimillion-dollar business; a private-practice psychiatrist who convinced her husband that they should quit their jobs and take off on an exciting, open-ended, cross-country adventure—in a giant bus, no less! ; and a middle-aged English teacher who, devastated to discover that her husband was cheating on her, refused to be a victim, filed for divorce, and began the challenging journey of rebuilding her life. Brimming with anecdotes that will inspire smiles, tears, and—most of all—hope, It Ain’t Over speaks to women of all ages with an empowering message: The best is yet to come!